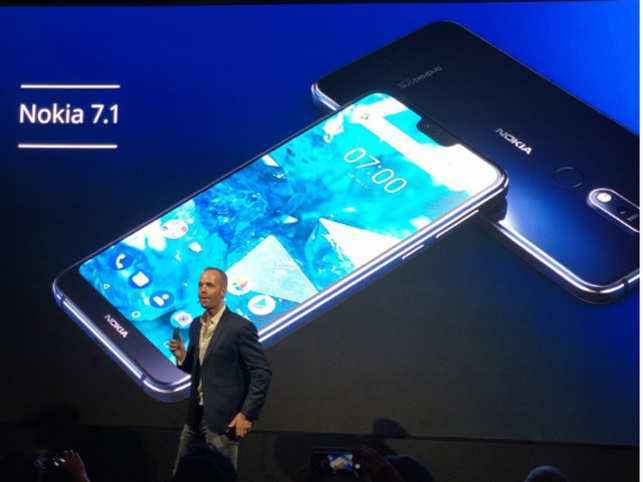 HMD Global just unveiled the new Nokia 7.1 - a well-crafted mid-range device with sleek design at an affordable price point. The Nokia 7.1 is built around a PureDisplay notched panel with 1080 x 2280 pixel resolution and a 5.84-inch diagonal. It's protected by Gorilla Glass 3 and boasts HDR10 support, which is a rather rare feature in the segment. In addition, the display can do real-time HDR conversion to SDR videos. 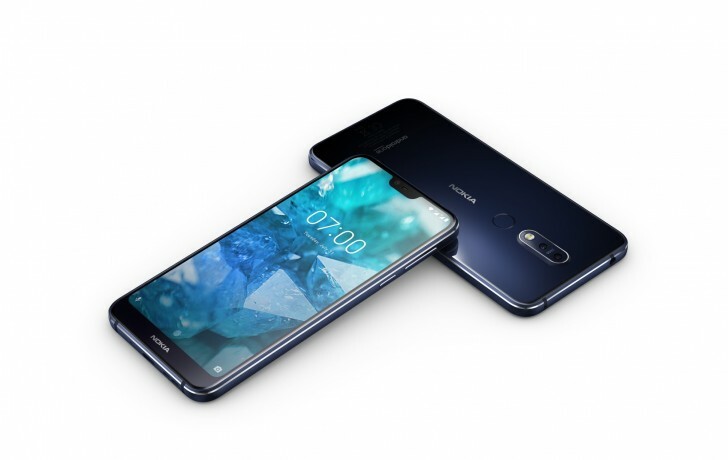 Driving the Nokia 7.1 is Qualcomm's mid-range Snapdragon 636 SoC paired with either 3 or 4GB of RAM coupled with 32 or 64GB of internal storage, respectively. If that's not enough, you can add more storage via a microSD card. 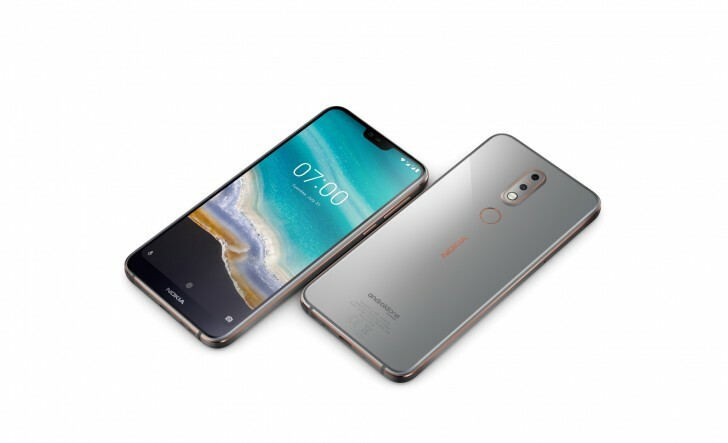 You get an 8MP f/2.0 selfie cam supporting AI-enhanced face unlock, while the back has a 12MP main shooter with f/1.8 aperture and a 5MP black and white camera. The rear cameras boast Zeiss optics and several nifty software features like the "bothie" mode that lets you take stills or record videos using the back and front cameras at the same time. The phone runs Android 8.1 Oreo and is a part of the Android One program. It will get an upgrade to 9.0 Pie in November followed by a 2-year-long period of major updates and 3 years of monthly security patches. 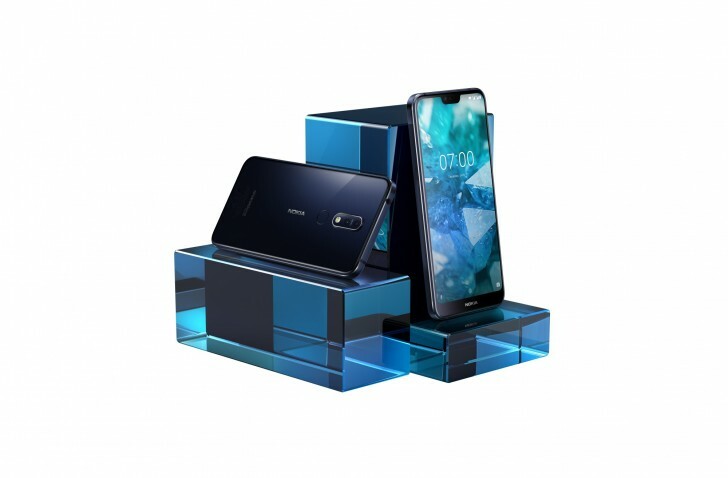 The whole package is wrapped inside a glass sandwich-style body with diamond cut anodized aluminum frame. The glass makes for 85% of the whole surface. The available colors are Gloss Midnight Blue and Gloss Steel. The handset will be on pre-order starting on October 5 with actual shipments coming on October 28. In the US the base 3GB/32GB configuration will cost $349, while the EU will get it for €319 Equivalent of N. The upgraded 4GB/64GB version is €349.